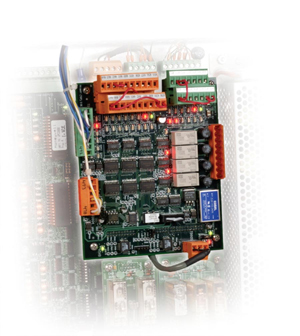 Expansion Module For WPC 2000 Integrated With SmartPAC PRO. The Option 2 Expansion Module for the WPC 2000/SmartPAC PRO provides additional press control functions for a reasonable cost. The Option 2 Expansion Module features 20 user-configurable inputs (in addition to the 7 already present in the WPC 2000) that can be used to monitor ancillary press functions. In addition, the Option 2 provides 4 pairs of cross-checked inputs (in addition to the 2 already present in the WPC 2000) for monitoring safety applications. Developed for presses equipped with an hydraulic overload system, this standard Option 2 feature emergency-stops the press when a hydraulic overload occurs and provides the logic necessary to reset the system. 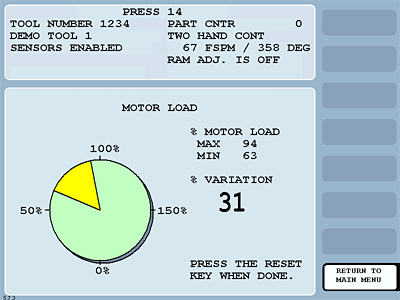 On presses equipped with a flywheel brake, Option 2 can monitor a pressure or limit switch to ensure that the flywheel brake is released or engaged at the proper time. 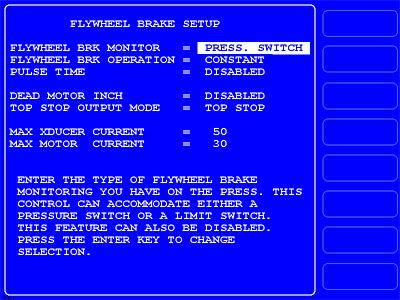 If the optional Speed Control (see below) is used, the flywheel brake can be pulsed for a specific amount of time. When wired to an optional current sensor, Option 2 provides a numeric high-and-low-value readout for motor current (% load) during a stroke. This information is useful for manual counterbalance pressure adjustments. Controls the speed of variable speed presses equipped with either eddy current or frequency drives. Precise speeds for each mode (Inch, Single-stroke and Continuous) are conveniently entered and stored in the SmartPAC PRO’s memory for each tool. 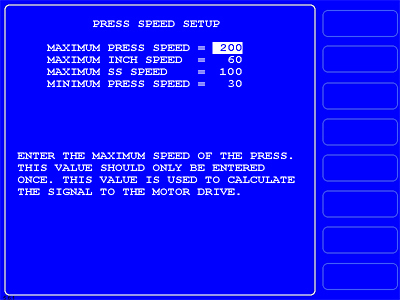 Press speed changes automatically when you change the mode, eliminating the need for speed pots and meters on the press console. You can control, program, and monitor a lube system that is designed to dispense an initial coating of lubricant to press components (for example, the counterbalance cylinders) that require a controlled amount of lube before the press begins to operate. In addition, the Option 2 board can monitor up to two additional lube systems - such as those for main bearings, gibs, etc - that should operate continuously once a selected device (such as the main motor) is actuated.